A mentor can provide an invaluable service when it comes to successfully navigating college. The one-on-one connection that you and your mentor share gives you an unparalleled level of support, whether it’s with your schoolwork, your future plans or with the stresses of college life (surviving finals, anyone?). Many of the world’s greatest leaders and inspirational figures cite their mentors as critical sources of direction that helped them to get where they are today. 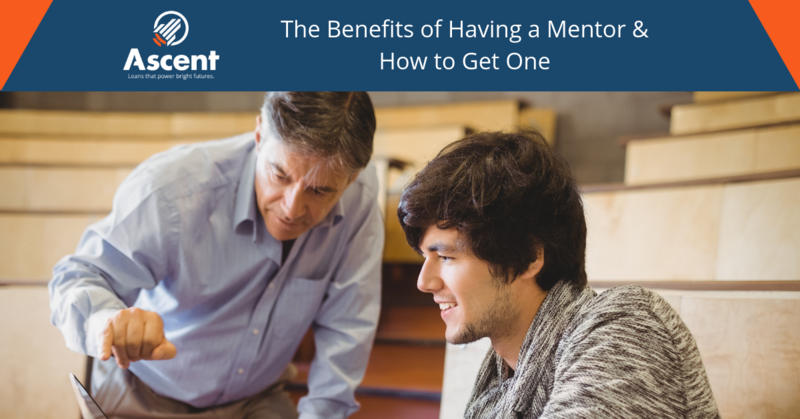 With that in mind, let’s take a look at some of the main benefits of having a mentor, as well as explore ways that you can find the right mentor for you. It can be easy to feel “lost in the crowd” at school—the academic pressures that college can bring often makes it tough to connect with teachers and fellow students on a personal level. A mentor is someone who offers you personalized attention, making it much easier to be open, ask questions and receive advice. While raising your hand in the classroom can get you the answers to a specific question, it’s difficult to approach personal issues when surrounded by a class-full of peers. With a mentor, you can be vulnerable and tell them about what’s going on in your experiences at home or in college. They’ll hear you out and offer you guidance that is tailored to your specific situation. It’s no secret that college can get overwhelming sometimes, with the seemingly never-ending stream of assignments, quizzes and tests. When it feels like your studies are too much to handle, calling upon a mentor for help is invaluable. Whether you need some words of encouragement to assist you in forging ahead or you need help finding the courage to make a change, mentors are there for you when you need it. They have been in your shoes before, they understand the struggles you may be going through and can offer reassurance to help you stay on track. One of the hardest choices college students must make involve deciding which goals to pursue in the future. While turning to Google for your college advice can bring up some new ideas, nothing beats talking to a mentor one-on-one about your aspirations. There is no one-size-fits-all approach to the educational or professional path—your mentor understands this and can offer to share their own experience as a way of illuminating the way ahead. Whether you need help with deciding with major to pursue, or just simply need help filling out your FAFSA, a mentor is someone you can turn to. A mentor can be a school counselor, a sports coach, a family member or anyone else that you can turn to for guidance. It can also be a teacher that you connect with one-on-one. They should be someone who you look up to, and who inspires you to succeed. Not only should a good mentor have the accolades to show their experience, but they should also be someone who you’re comfortable talking to. Just because someone may be an expert in your field of choice, doesn’t mean they’re approachable or easy to talk to. That’s why it’s a good idea to reach out to a few potential mentors and see which ones you resonate with. Graduate students and teaching assistants, or TA’s, can make great mentors. Since they’re usually closer to your age than professors, the knowledge and skills that they possess may be more relevant to where you’re currently at. You can also find a mentor by joining a school mentor-ship program or by participating in extracurricular activities. When you find someone that would make a great mentor, simply ask them if they have some time to meet and answer a few questions. You don’t have to ask them straight-up to be your mentor—you can let that relationship evolve naturally. In your initial meeting, you can ask them about their current position and how they got there, while exploring whether this parallels the path you’d like to take. Once you’ve established a connection with your mentor, be sure to meet with them regularly—at least every other month—to stay on track and show them your commitment. 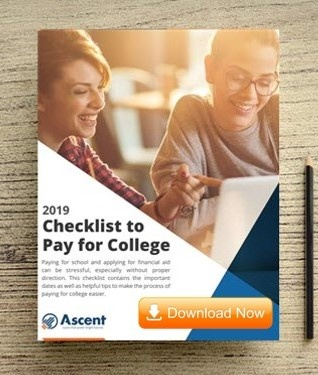 At Ascent, we know that college can be a time of new opportunities and challenges alike. That’s why we’re committed to providing college students with the resources they need to fulfill their educational goals. Our passion is helping students, whether it’s with providing funding for education or offering valuable advice. Be sure to check back on our blog section often to stay current with the latest in college finance tips!